His great grandfather and his grandfather had been presidents of the United States, and to a small boy this seemed a matter of course in his family. But Henry Adams, belonging to a later generation, coming to maturity at the time of the Civil War, found himself in an age uncongenial to the leadership of such men as his ancestors. In the changing world of the late nineteenth century and early twentieth century, Adams found his rightful place as an observer and critic rather than a participant in public life. But no time and no country ever had a keener mind to take note of the comic and tragic qualities embedded in the political, economic, and human drama upon which he gazed. And his writings appeal timelessly in their incisive wit, their warm charm, and in the way they speak to us of a very individual personality. When Stevenson's book first appeared, the New York Times called it 'One of the noteable biographies of recent years,' and it won the Bancroft Prize that year. It remains an engrossing portrait of a remarkable man.It is good to take note of the sage he became in his late, great books: Mont-St. Michel and Chartres and The Education of Henry Adams. 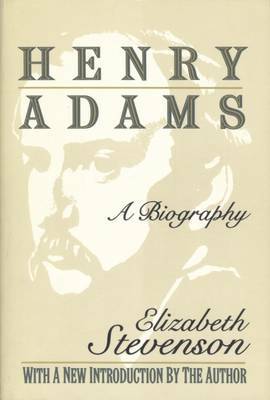 This biography explains how Henry Adams became the man both admired and feared in his later years. He was first a bright, unformed young man who was a diplomatic assistant to his father; then an ambitious journalist, a writer of several 'sensational' newspaper and magazine articles. Next he became a provocative and innovative teacher, and a historian unequalled in his presentation of the Jeffersonian period. Until his wife's tragic death, he was a willing actor on the social scene of his beloved Washington, D.C. Throughout, he remained a friend and instigator of the careers of friends in artistic and scientific fields. His writings speak to us still and seem contemporary in their tone as well as their view of cycles of culture and their warnings of decline and achievement.